Becky wrote an excellent post on the benefits of reading aloud to kids. For the past two years, I’ve read aloud with my younger students as a way to teach counseling lessons at my school. (I’m a school counselor for 4th-8th grade students.) 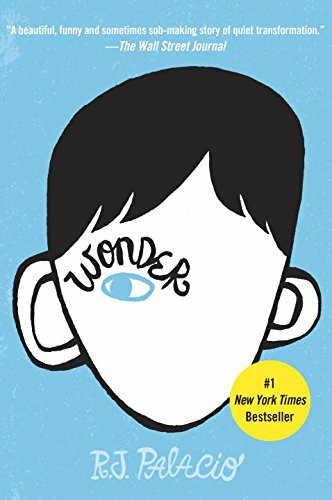 Instead of going into their classrooms twice a month to do a 30-minute lesson on friendship, kindness, goal-setting, etcetera, I went in each week for 20 minutes and read Wonder. Wonder was such a good choice because the main character in the book had so much in common with my students: they were entering a new school, they were making new friends, and they were taking on a new challenge of very different learning environment (a hybrid online school). The book naturally inspired several great discussions. Being different, fitting in, finding your place in your family and classroom, standing up for someone, negative vs. positive thinking, encouraging others, and reconciling relationships were just some of the counseling topics we talked about as a group. We also discussed literary terms such as point of view, foreshadowing, and metaphors. That made the LA teacher pretty happy. I made sure parents knew what we were doing because reading a book aloud was a very different delivery system than they were used to. You can see a sample blog post here. 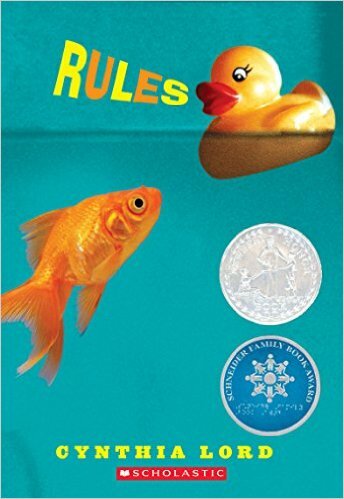 The kids and I loved our time together so much, that I’m reading Rules this year to the 5th graders. The kids cheer when I walk in the room, holding the book. Recently, I was reading and one child got up to close the door. There was just too much noise in the hallway and she didn’t want to miss a word. When we finish the book, we’ll probably feel a little sad, but also glad that we shared all the words and emotions together. And as an educator, I’ll feel confident that I covered lots of important topics and taught critical skills to help my students face the world.